Hi everyone! Today’s post is part of a blog carnival being hosted by Kelly of RA Warrior. 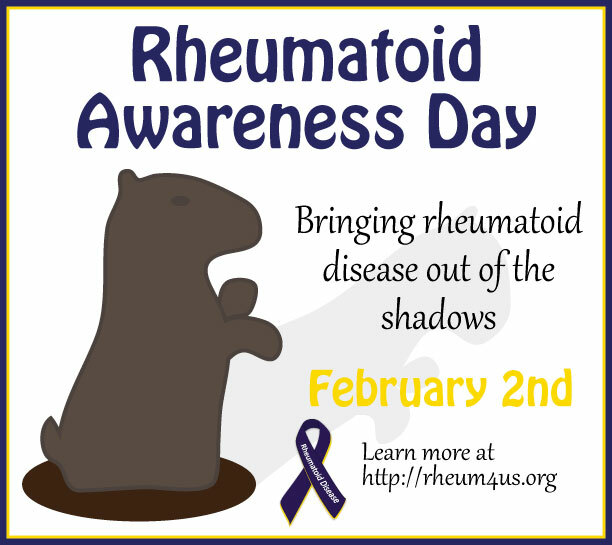 As some of you may know, February 2nd has been designated as Rheumatoid Awareness Day. Kelly asks the question, “What difference do you think it would make if Rheumatoid Disease were recognized for what it is by everyone…?” I encourage all of you with sites to write an entry for this topic, so you can add your voice to the mix. Feel free to leave comments on this post too. I write today from the perspective of a 20-something year old woman, who has been living with Juvenile Rheumatoid Arthritis/Juvenile Idiopathic Arthritis for the past 22 years. When I was diagnosed at age 7, absolutely no one in my circle knew about JRA. When I spoke about it with peers, teachers and other adults, no one knew what I was talking about. I can’t blame them, for I didn’t know about it either. Twenty-two years later, I am on treatment, I understand my illness and I’m able to educate others about it. I’ve been able to accomplish many of my goals and I continue to work hard toward my goals. But surprisingly, in our technology-saturated world where information about absolutely anything and anyone can make global headlines within seconds, it’s still the case that very few people I meet know about Rheumatoid Disease/Rheumatoid Arthritis/autoimmune arthritis. Even fewer are aware that babies, kids and teens can get autoimmune arthritis. Why is there such a gap and lack of awareness of autoimmune arthritis? What can we do to educate and break the common misconceptions? The statements which I listed above have been coming at me for the past twenty two years. It seems terrible, but it’s really taught me a lot in the art of patience and communicating with people 😉 . When people make comments like the ones I shared above, I use the opportunity to educate them about arthritis (if I have the energy that day 😦 ). I think these statements clearly show a greater need for understanding of this condition, and sensitivity overall. Particularly, there is a need for persons to be aware that young people can indeed get chronic illnesses too. As a child growing up with arthritis, I was often dismissed by adults about the severity of this illness. Young children with arthritis are still learning to communicate and very likely will not have the ability to stand up for themselves and educate. And it’s for this reason that I really, really wish that the world knew more about autoimmune arthritis. A more aware world can help cushion and support those who are already in pain. Rheumatoid awareness would mean a lot to me, as I wouldn’t have to go through the exhausting effort of explaining this illness to other people (losing a lot of precious spoons in the process). I wouldn’t have to engage in the tiring battle of words where I have to explain my wonky immune system to someone who insists that Tylenol can cure my pains. I wouldn’t have to worry about people laughing at me when I struggle to turn a doorknob or calling me weak when I can’t twist the bottle cap off my drink. I don’t take pills because I enjoy taking them or find them delicious. I take them because if I don’t, I’ll be unable to move. Getting poked with needles is not fun to me by any means, but it’s a necessary part of life with chronic illness. We are doing what we have to do. I recall this wonderful cartoon by RAGuy, in which he compared the responses that people had to various diseases. Like RAGuy, I don’t compare autoimmune arthritis to other illnesses – every case of illness is unique and I support and salute every person who has to endure ill health. But I do wish that autoimmune arthritis could garner the same respect and support as any other illness, instead of being seen as a very trivial condition. I wish that people took the time to understand how this destructive condition impacts an individual’s life, instead of just thinking “I’m glad it isn’t me.” Perhaps people would be kinder if they genuinely understood that this condition brings extreme pain and joint destruction and fatigue – and that it could happen to anyone. Rheumatoid awareness/awareness of autoimmune illnesses is slow. But I encourage you all to keep talking and keep those conversations flowing. I encourage you to be your own advocate. In my last post, Talking about arthritis, I shared an incident where I discussed my arthritis with a co-worker and was met with true understanding and compassion. At times it is scary (and exhausting) to speak about arthritis, but I have learned that it is often necessary. And though there will be many people who simply don’t get it, there will also be others who do. Stand up for yourself and educate others about your condition, especially if what they are saying seems insensitive to you. 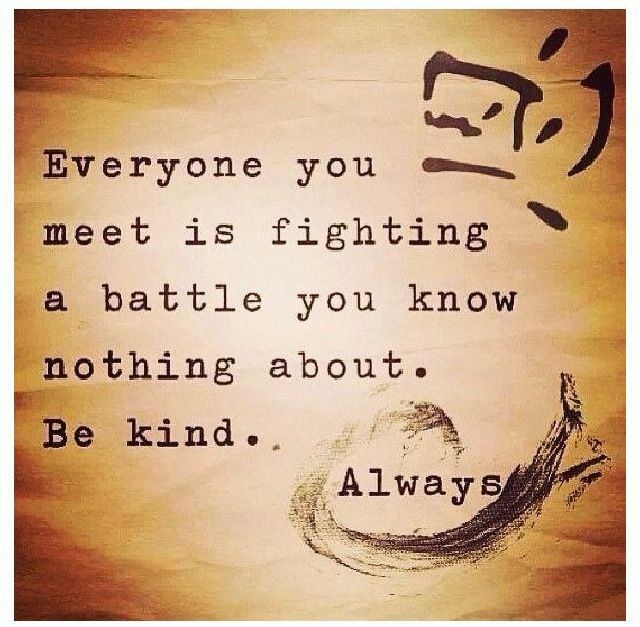 We want people to be kind and understanding, but no one can know what we’re going through unless we tell them, right? Readers, what would awareness mean to you? Share your thoughts in the comments below. Thanks! Categories: Awareness, Hope | Tags: Arthritis, Autoimmune Arthritis, Coping, JA, JIA, JRA, Juvenile Arthritis, Juvenile Idiopatic Arthritis, Juvenile Rheumatoid Arthritis, kids get arthritis too, RA, RD, Rheumatoid Arthritis, Rheumatoid Awareness Day, Rheumatoid Disease, young people with arthritis | Permalink.